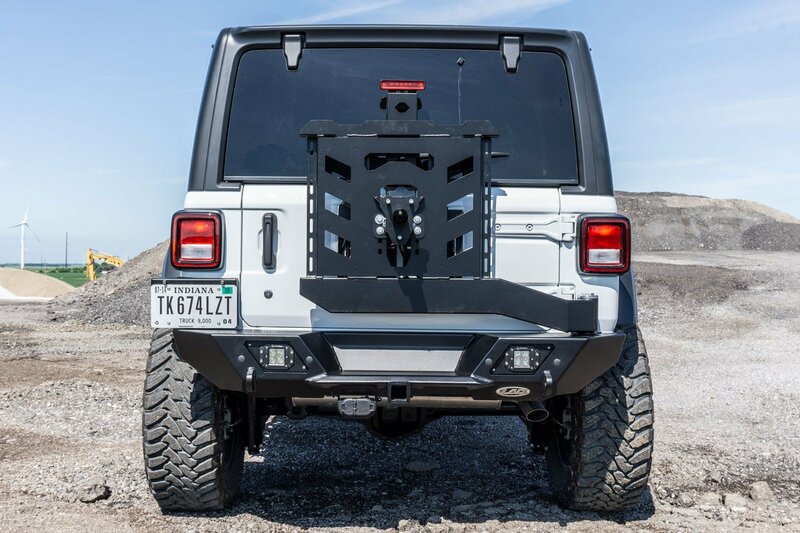 When looking for a high quality rear bumper with tire carrier for your Wrangler JL LoD has you covered in more ways then one. 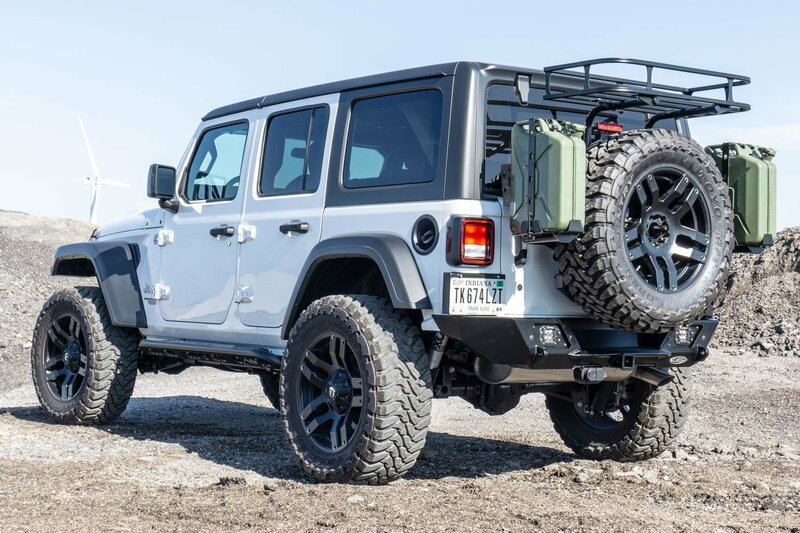 Their Destroyer Rear Shorty Bumper with Tire Carrier not only gives you a rugged offroad bumper but it also gives you one with numerous options to make it one of a kind. 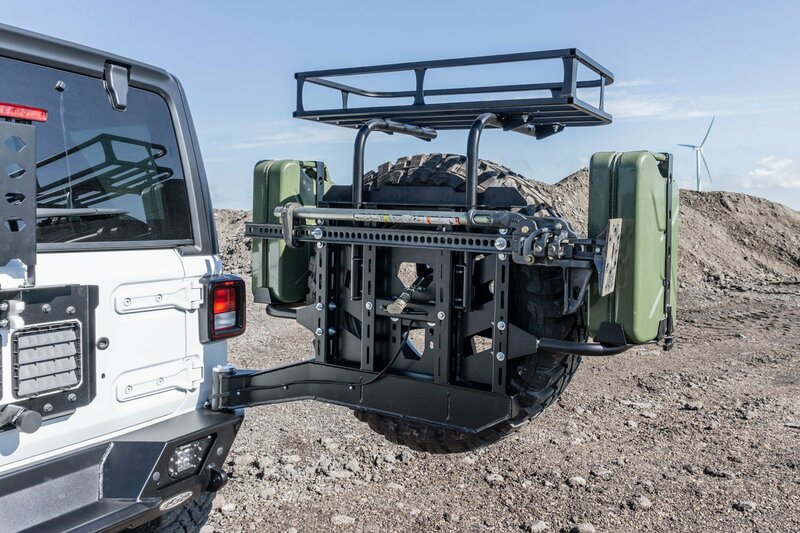 The tire carrier design allows for linked & non door linked operations and has an enhanced industrial roller bearing at the hinge point for more strength. This bumper can accommodate over sized spare tires along with round or square LED lights. Features: High strength light weight military grade steel for the ultimate protection when you are out on the trails. Adjustable gas can mounts along many other accessory mount options. Better tire clearance with the ability to carry a 40" tire with no as cans mount or up to a 37" tire with a gas can mount. Design: Allows for easier access and removal of accessories that are attached to your carrier. New light bezel design that stops mud build up while giving you light options that are easy to change. Better rock crawling design so you will not get hung up while on the trails. Built in Receiver Hitch: Replaces the stock hitch with the same tow rating of 3500lbs.